Pac Man Ghost Light | Flashes to the beat of your favourite tunes! Flashes to the beat of your favourite tunes! Sound-activation makes it a cool Party Ghost! 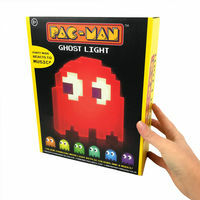 Celebrate the most classic of arcade characters in the comfort of your own living room with this Pac Man Ghost Light. 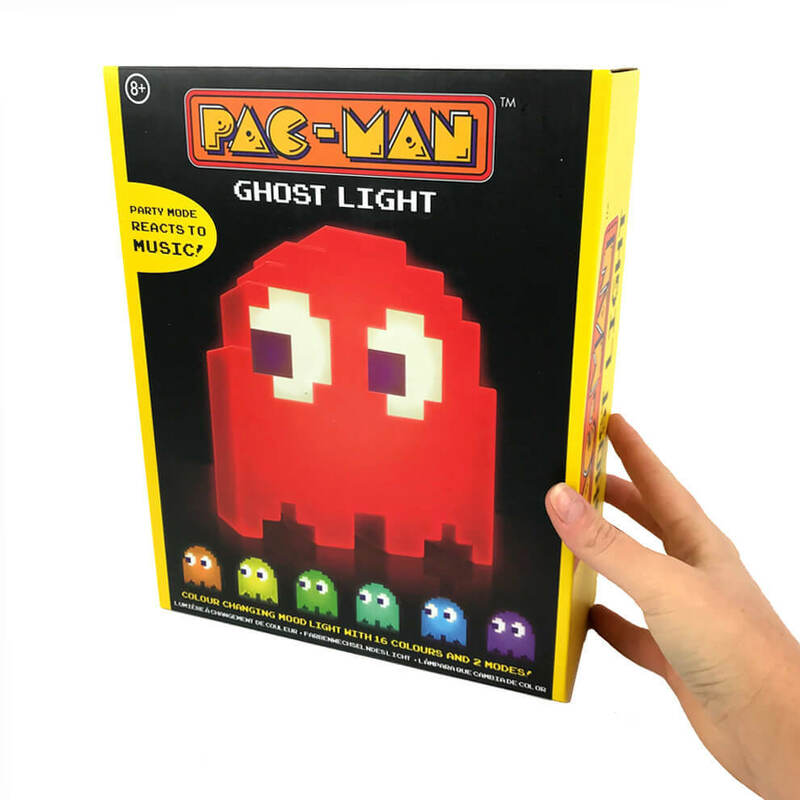 With two different lighting modes, your light will phase smoothly through 16 cool colours on repeat, or strobe to the beat of your favourite 8-bit remix! Coming complete with an adjustable sensitivity dial, you can alter the settings for better reactions to loud or quiet music! Your lamp is powered via micro-USB so you can put it on your desk and let your laptop provide power, or plug it into a phone charging adapter to operate! 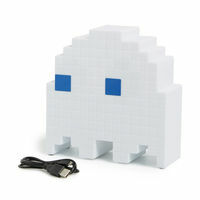 You will receive: 1 x Pacman Ghost Light (rated input 5V DC 500mA), 1 x 1m micro USB cable and instructions. 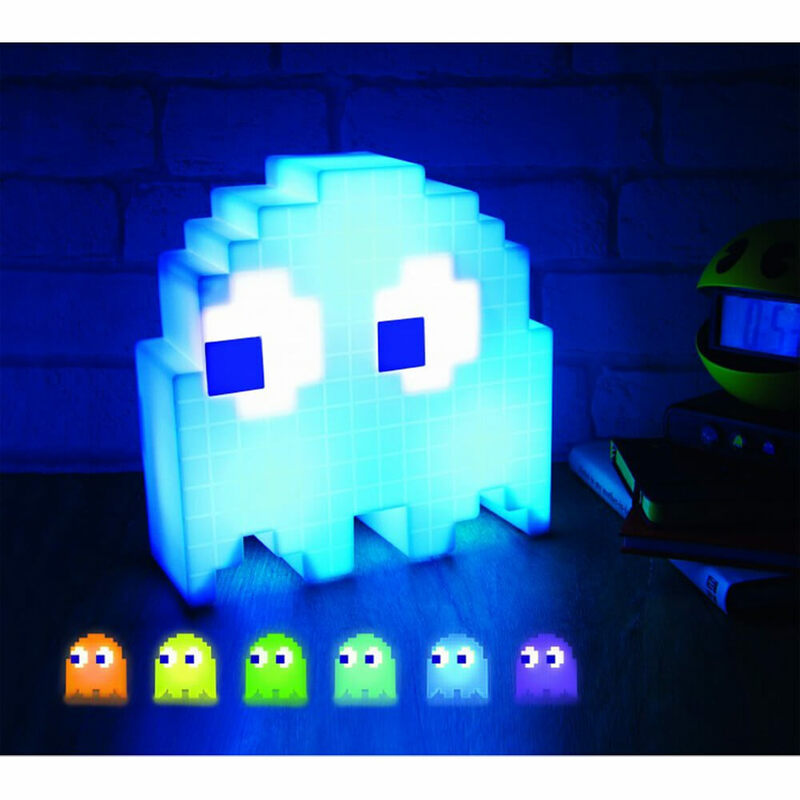 Please note: Your Pac Man Ghost Light does not play or conduct music, but reacts to music from an external source. It does not move or chase you in the dark!